Keeping track of BP is important, especially for older adults. High blood pressure is often called “the silent killer” because people might not experience any overt symptoms. Without regular blood pressure checks, people not even be aware that this condition is damaging their arteries, heart, and other internal organs. This can be checked in the office of most medical professionals, at some drug stores, or even at home. There are two readings that matter when your BP is checked. The systolic number is a measure of pressure when your heart beats. The diastolic number is the measure of BP between heartbeats. When you take a reading, systolic will be the number on the top and diastolic will be the number on the bottom. You might see a blood pressure reading that looks like this: 118/77. What is normal blood pressure? The American Heart Association (AHA) recommends that the systolic figure should be less than 120 and the diastolic figure should be less than 80 (bp numbers are 120/80 mm Hg). A systolic figure over 140 and a diastolic figure over 90 indicates HBP (hypertension). If a reading is above 180/110, this indicates a hypertensive crisis which requires emergency care. Check full blood pressure chart here. It is important to understand that one high reading does not mean that an individual has a serious health issue. Your BP may be higher just after exercise, during an illness, or when you are under stress. When the situation is relieved, your readings may drop back down to normal. Normal people experience ups and downs in these readings over the course of a day. 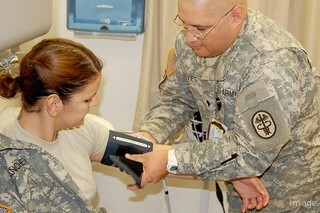 One high blood pressure reading does not always indicate that an individual suffers from a disease. A doctor may take readings over time to make an accurate diagnosis. If your first reading is high, you might be asked to relax for a few minutes so a second reading can be taken. Hypertension is diagnosed when consistent readings are over 140/90. Pre-hypertension might be diagnosed when the top readings are between 120/80 and 139/89. Early symptoms of hypertension are: fatigue, confusion, shortness of breath, blood in the urine, blood spots in the eyes, facial flushing, dizziness, severe anxiety, nosebleeds, vision problems (blurred or double vision), chest pain, irregular heartbeat, pounding in your neck, chest, or ears, heart attacks, stroke. Major risk factors are obesity, aging, heredity, alcohol abuse, smoking. BP during pregnancy can be on higher levels. In women, BP during pregnancy can be on a higher level than in regular time. While doctors might prescribe medication (beta-blockers, ace inhibitors, etc) in either case, they may just advise people to make some lifestyle changes in the pre-hypertension stage. Moderate issues are often relieved when patients lose weight, sleep well or add some moderate exercise to their routine. If losing weight and changing a diet cannot resolve the issue, medications might help patients maintain their healthy blood pressure. Hypotension is the exact opposite of hypertension. It is a diagnosis made by doctors when an individual has abnormally low readings. This is usually defined as a reading below 90/60. While hypotension means low BP, individuals with low readings do not always have a medical issue. Some individuals might always have hypotension without experiencing negative symptoms. If an adult is healthy and experiences no negative system, it may be fine. Typical symptoms of hypotension are: feeling dizzy, lightheaded, or faint, lightheadedness, lack of concentration, unsteadiness, weakness, nausea (feeling sick), blurred vision, confusion, palpitations (a rapid, or irregular heartbeat), pale, clammy, cold skin, fatigue, depression, thirst, confusion, sleepiness, tiredness, black, tarry stools, general weakness. But for others it can be a symptom of a serious medical issue because they have lost blood or their heart is unable to pump blood efficiently. This means that their organs are not getting enough nutrients and oxygen. People with hypotension may experience symptoms like dizziness, fainting, blurred vision, or nausea. People with any of these conditions might be advised to visit their doctor for regular readings. 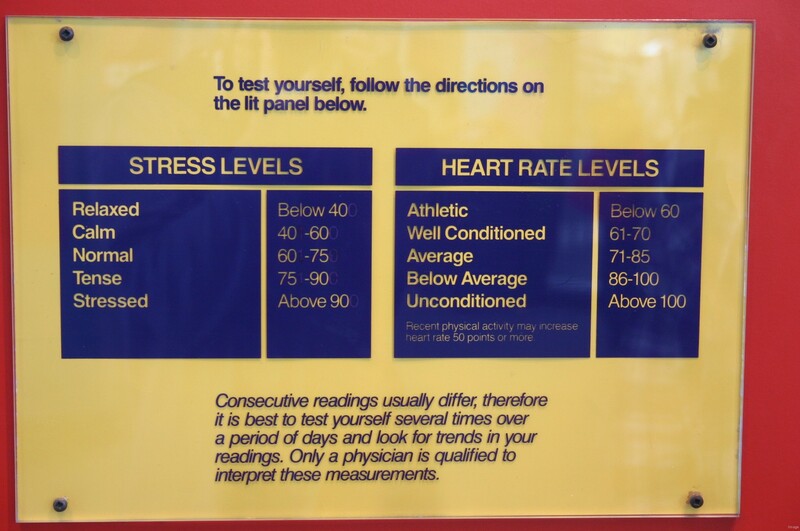 Some may purchase a home BP monitor so they can take daily readings on their own. These folks will be advised to contact their doctor for further information if their readings are outside of a given range. What Is A Normal Heart Rate For Adults? Of course, there are other readings taken to determine cardiac health. 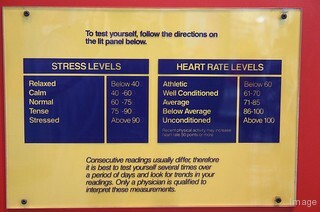 For example, a person’s heart rate might be monitored. According to the American Heart Association, a normal pulse should be between sixty and one hundred beats per minute. Anything above and below that may indicate a health issue. Typically, lower resting heartbeats indicate that a person is in better physical shape. A stronger heart does not have to beat as often in order to deliver an adequate supply of blood to a person’s body. Some athletes may have resting heart beats as low as forty beats a minute and still be in good health. However, a very low or high HR may indicate poor health. This is especially true if there is no reasonable explanation for these low pulse rates like being very fit or having just run a marathon. Major low HR (Bradycardia) symptoms are: dizziness, lightheaded, feel short of breath, tiredness, chest pain, heart palpitations, passing out, trouble concentrating, weakness, difficulty walking, climbing stairs, or exercising. That said, it is normal for people’s heart rates to fluctuate throughout the day. An individual’s pulse may be lowest when lying in bed and watching TV. It will certainly increase when exercising, mowing the lawn, or even having an excited conversation. People might experience symptoms when their pulses are either too low or too high. If you have an abnormal pulse, and are experiencing any symptoms like shortness of breath, fainting, or dizziness, it is time to seek medical treatment right away. One last common measure of health is body temperature. The common wisdom says that a normal person’s body temperature should be 98.6 degrees Fahrenheit. Some people normally have a body temperature a bit higher or lower than this, and this is perfectly fine. In addition, some normal activity may raise or lower temperature slightly during the course of a day. However, a very high temperature often indicates a fever. It may also be a sign of some other type of trauma. Low body temperatures might be caused by exposure to very cold weather, shock, drug use, or even some metabolic disorders like diabetes and thyroid diseases. Any large variation from a normal body temperature indicates a need for urgent medical care. Primary symptoms of low temperature (Hypothermia) are: cold exposure, drowsiness, confusion, uncontrollable shivering, loss of coordination, weakness, pale and cold skin, drugs and alcohol use, slowed breathing, slow heart rate. What Is Average BP, Pulse Rate, And Temperature? As you can see, healthy adults may have quite different ranges of readings when their BP, pulse, and temperature are measured. These measurements may also vary because of physical activity or relaxation, and this might not indicate any sort of health condition. Abnormally high blood pressure or other abnormal readings accompanied by symptoms indicate the need for medical intervention! If I have a hypotension and high heart rate – is it dangerous sign?